Screw Spring. I'm tired of this hot-cold thing, so let's skip all that and head right into Summer. Okay, so really this nail art works for both, but I'm anxious for warm weather! Get your nails swimsuit ready with this hot neon gradient and leopard look I created for Divine Caroline today! Click here to get the full look and tutorial! Wow! This is a really amazing design!! Beautiful pastel shades and a very creative design! 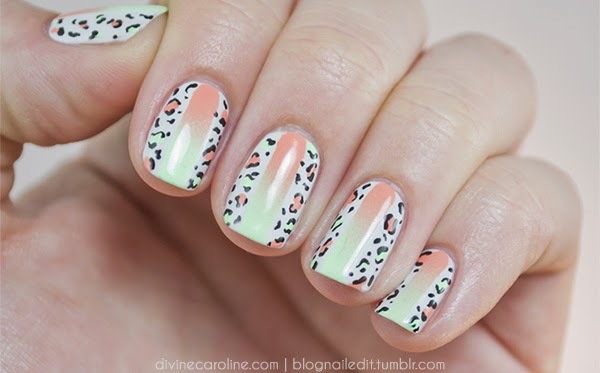 This is fantastic, I'm totally smitten and need to re-create this for my own nails asap!